My year has kicked off to a busy start. As the last days of my 30th year on Earth count down here’s a short recap of my recent adventures. 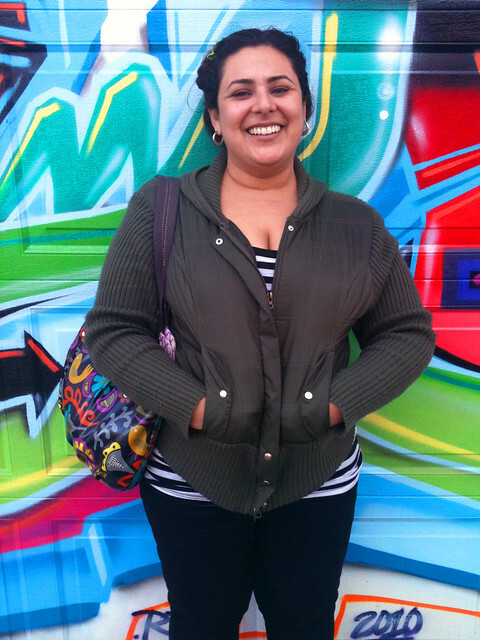 I toured the Mission and took 3D photos with Ms. Sarah Guerra. Holy shite! We came across the demolished remains of the 24th and Mission bus shelter. 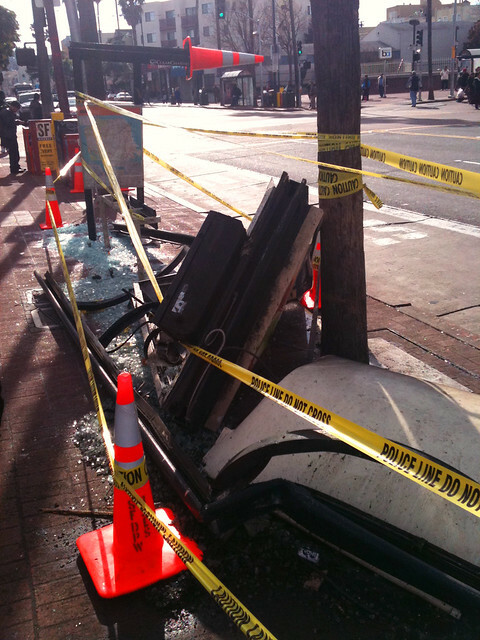 The word on the street was that a MUNI bus crash straight through it. No one knew if there were any injuries or fatalities. 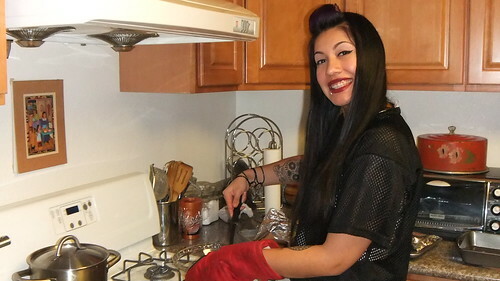 On El dia de los tres Reyes Magos I ventured to the home of the Martinez sisters to have some dinner and learn about new traditions. Having not being raised Catholic the whole idea of baking a cake with a plastic Jesus figure in it blew my mind. When cutting a piece of the cake I ended up sinking the knife right into the legs of little hey-seuss. It was sacrilicious. 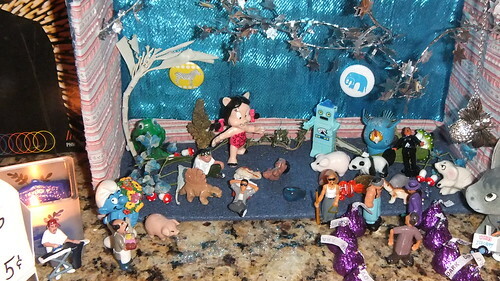 The Martinez sisters also had the most amazing, truly Post-Chicana, nativity scene in their kitchen. 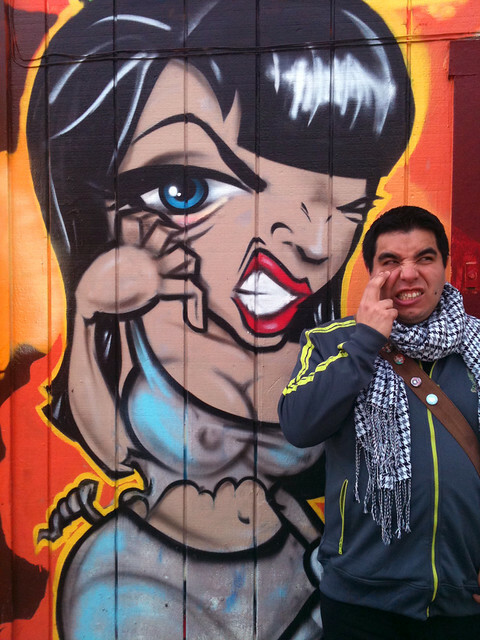 My collaboration with performance artist Mayra Ramirez is going strong. I was privileged enough to see her make snickerdoodles while dressed in full breezy homegirl gear. 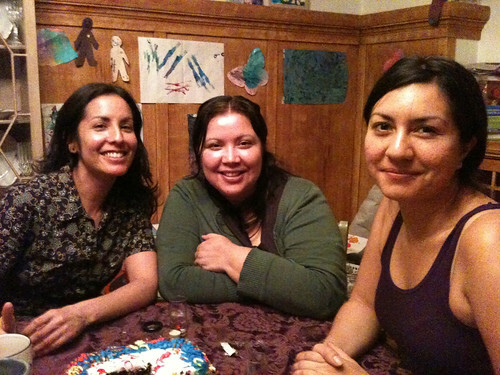 On New Year’s Day, me and the crew celebrated the birthday of Ms. Katynka Martinez. We started with some homecooked pozole at Rosi’s place and then head to Playa Azul on Mission Street in the midnight hour. 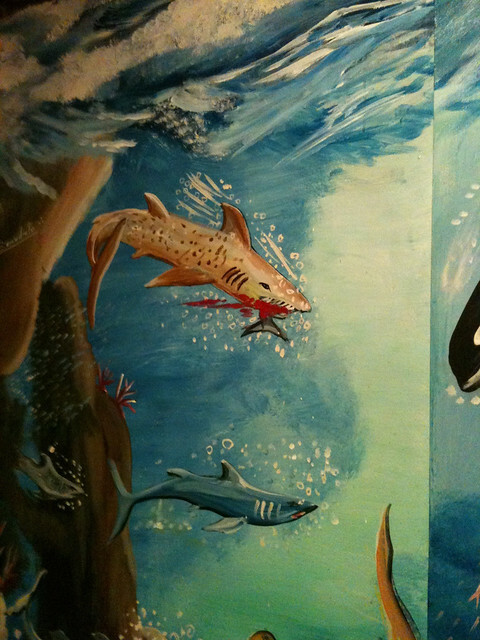 Did you know the mural at Playa Azul depicts a gory feeding freezy teeming with crimson mouthed sharks? It’s fucked up! Chomp! Om nom nom!